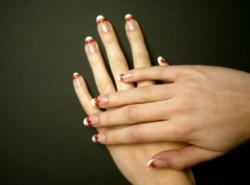 Acrylic nail kits are a great way to avoid having to spend time at the nail studio. After a little practice, these do-it-yourself kits can become both time and money savers. 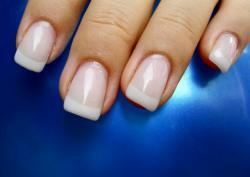 Acrylic nails are a type of artificial nail that can be applied to natural nails in order to add strength and length. These nails are generally made of a tip that is glued onto the natural nail, and a coating (made by mixing powder and an activator). These are then sanded and shaped to the desired length and then painted for a beautiful finish. Most people choose to get their acrylic nails done at a nail salon, but there are drawbacks to this method of nail care. Perhaps the biggest problem with getting acrylic nails done at a salon versus getting an acrylic nail kit is the time involved. You must make an appointment at your nail salon (or walk in and be prepared to wait) and make time to get to the business. 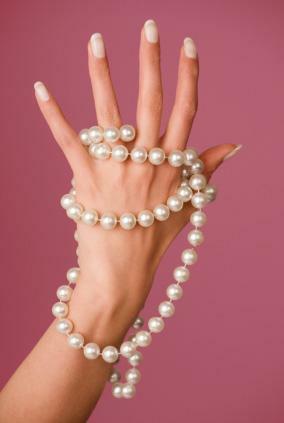 Then, you have to sit through the process of getting new acrylic nails or a "nail fill", if your nails have grown. Either service can take up to an hour to complete. You will need to follow the instructions found in the kit in order to accomplish a professional looking acrylic nail manicure. This will take practice (remember that the people working in the salon went to school for this!) and you may need to try a few different techniques. There are also websites that may be able to help you, or you can try contacting a beauty school in your area about classes. The best place to buy acrylic nail kits is your local beauty supply store (such as Sally Beauty Supply). The people who work here will be able to help you with any questions you have. Large "box stores" such as Walmart and Target may also have these kits, but be aware that they will not be as high quality, and you won't get the expertise you would find at a beauty supply store.Another option is to purchase a kit online. There may be some restrictions regarding shipping of the items in the kit (due to flammable liquids) so be sure to look at all the information provided regarding obtaining a kit through the mail. Some online stores have a far larger selection than brick and mortar stores.